Friday was the annual Summer Barbeque where the New World family gets to have some fun in the sun! This years highlights included a dunk tank, water balloon toss competition, giant water pong, and life size Jenga! 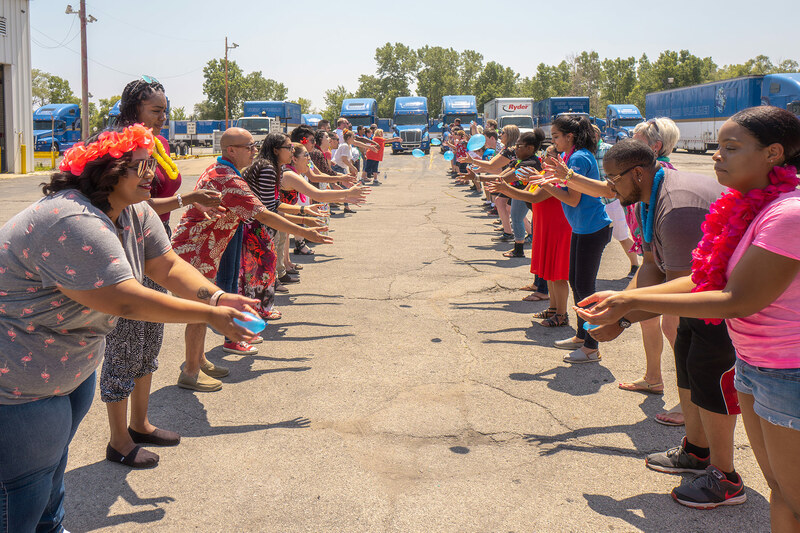 The outdoor festivities were paired with a good cause! Employees donated school supplies to benefit our local Albany Park Community Center. Every donation entered them into the chance to win six raffle prizes! 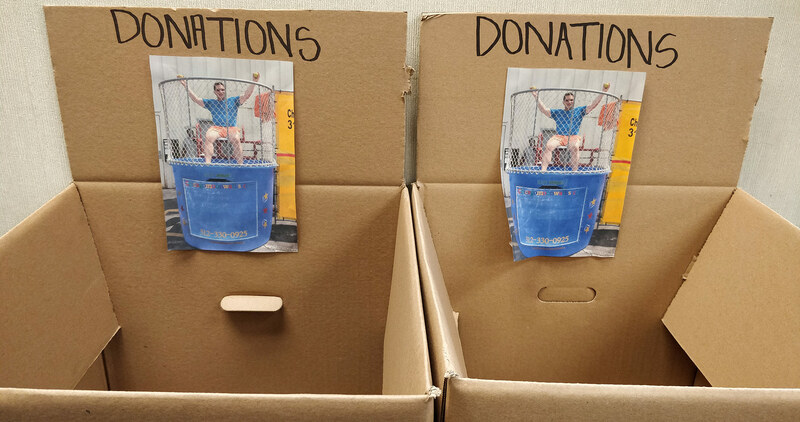 The stakes were raised even higher with a dunk tank – for a donation coworkers could take a shot at their favorite manager to see them cool off! Our lunch included grilled favorites including hamburgers and brats. There was a wide selection of sides including salads, fruits, and even a make-your-own elóte station! Here’s to more sunny days!